Festoon LA is a 1900-square-foot event space and creative studio located on the west side of LA. 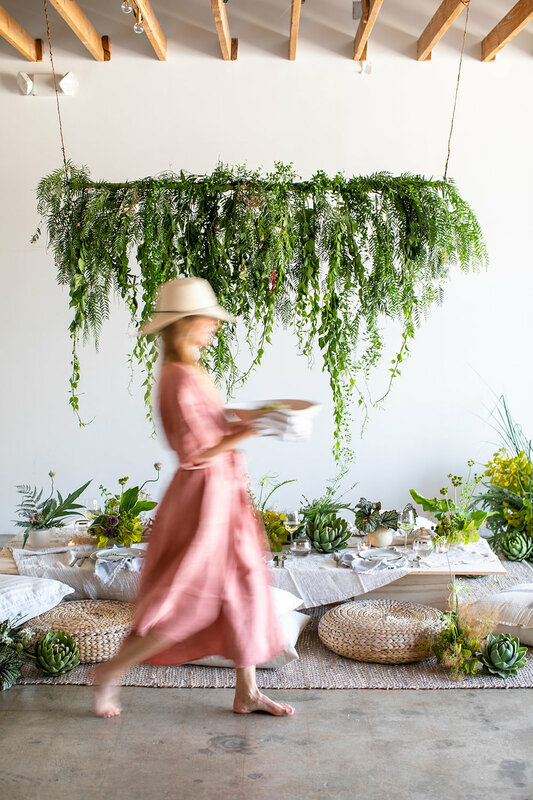 Owned by the creative minds behind the wedding and events site 100 Layer Cake, this bright designer space is ideally suited for pop-ups, corporate events, influencer events, cocktail receptions, dinner parties, rehearsal dinners, bridal or baby showers, and birthdays. 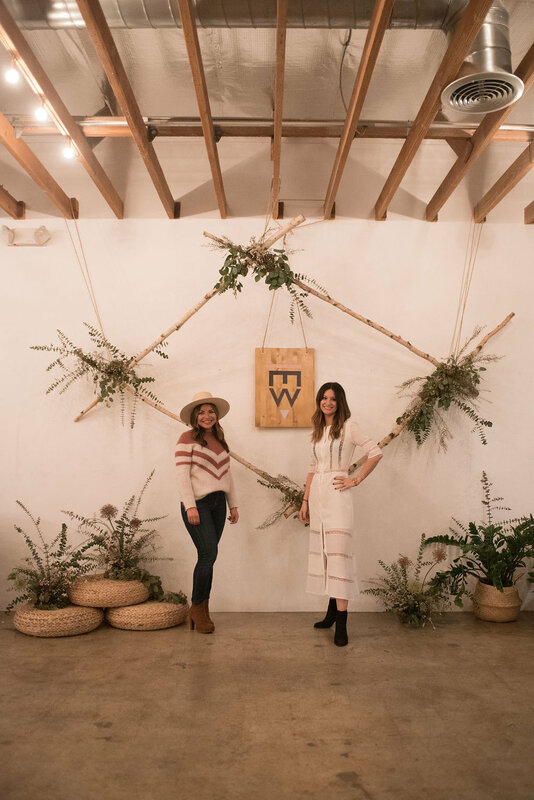 Our 1900 square foot open space is ready to use as is, or transform it to reflect your brand vision for your next corporate meeting, pop-up or brand launch! Join companies like Nike, Billabong, and Barbie who have hosted experiential events here. 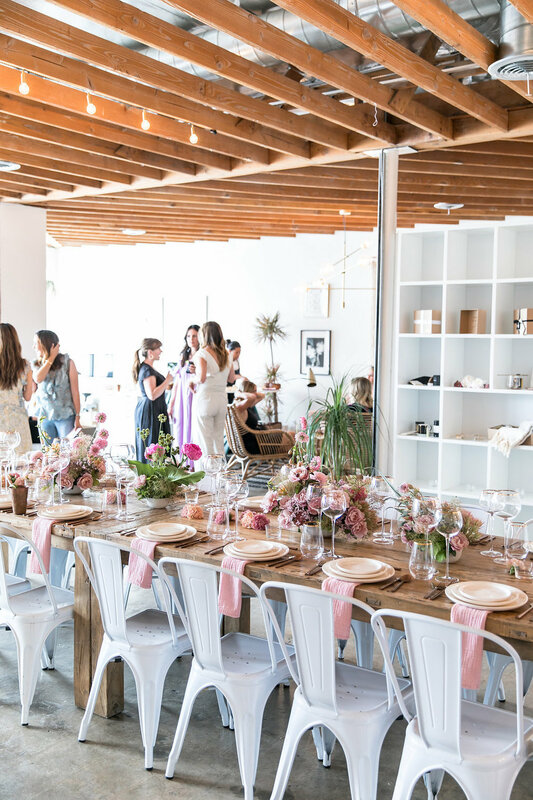 Conveniently located on the Westside, Festoon LA is perfect for social and festive celebrations. The space can host up to 60 for a sit down dinner and 120 for standing cocktails. Utilize our full designer kitchen, tables and chairs for 30, and lounge area too. Sign up with your email address to receive news and updates from Festoon!